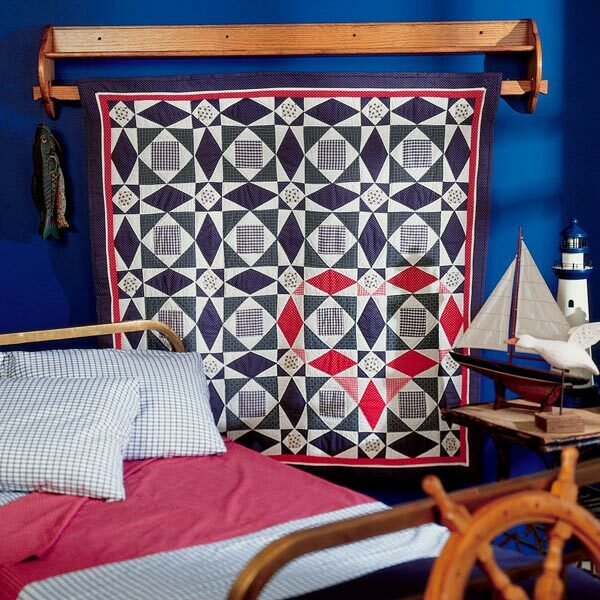 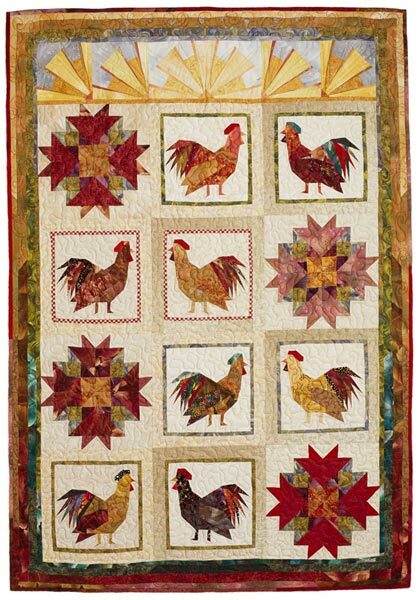 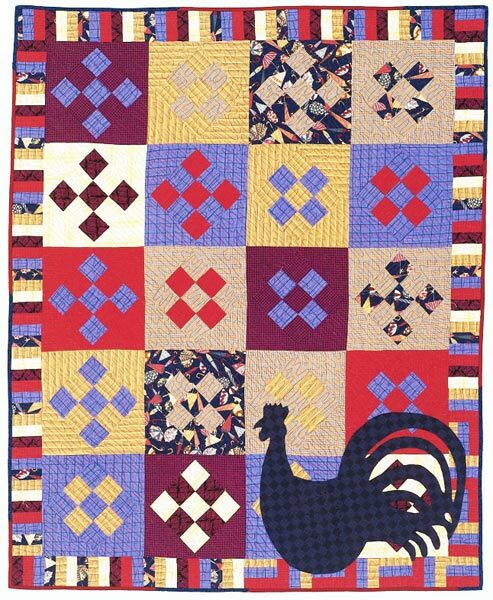 The folk art rooster looks as if it just stepped off the weather vane onto this hand-appliqued quilt. 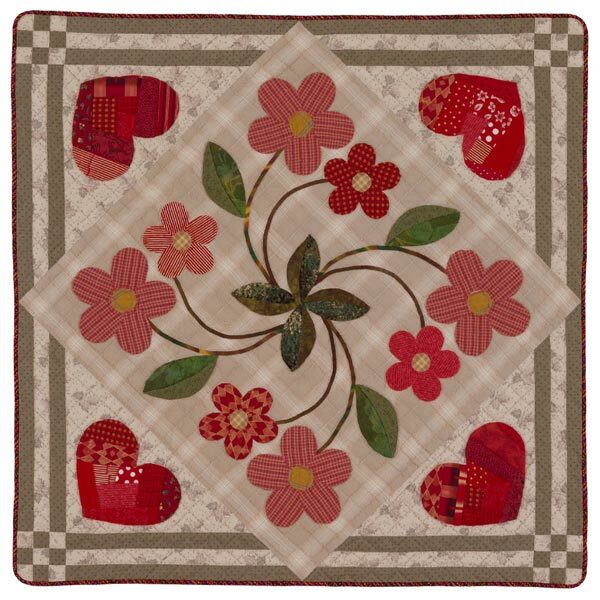 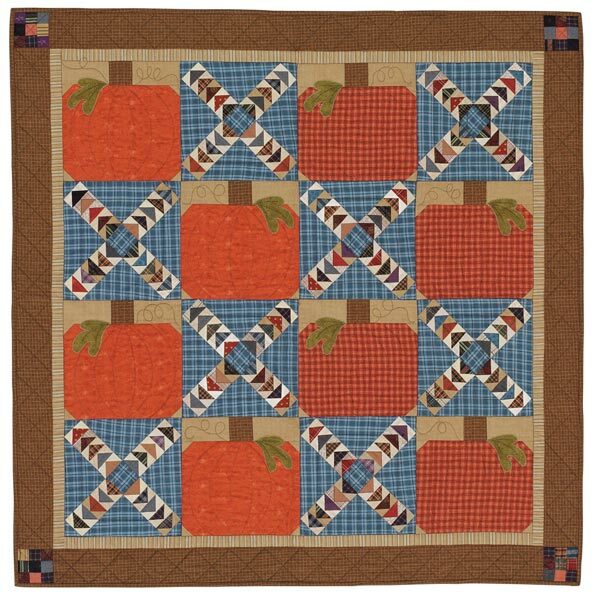 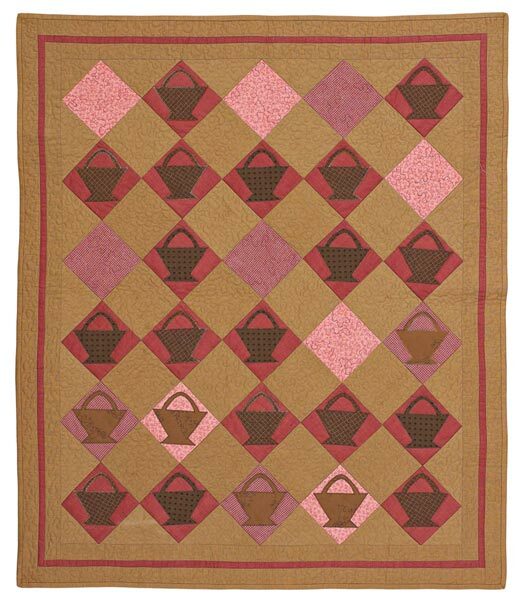 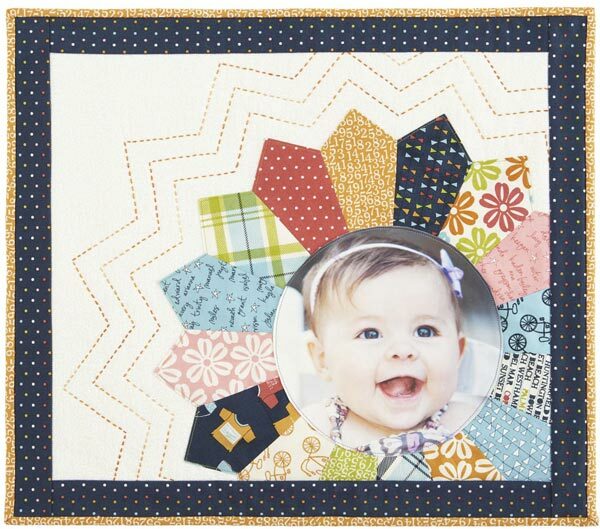 The Nine-Patch-in-a-Square blocks are composed of colorful prints and plaids for a scrappy look. 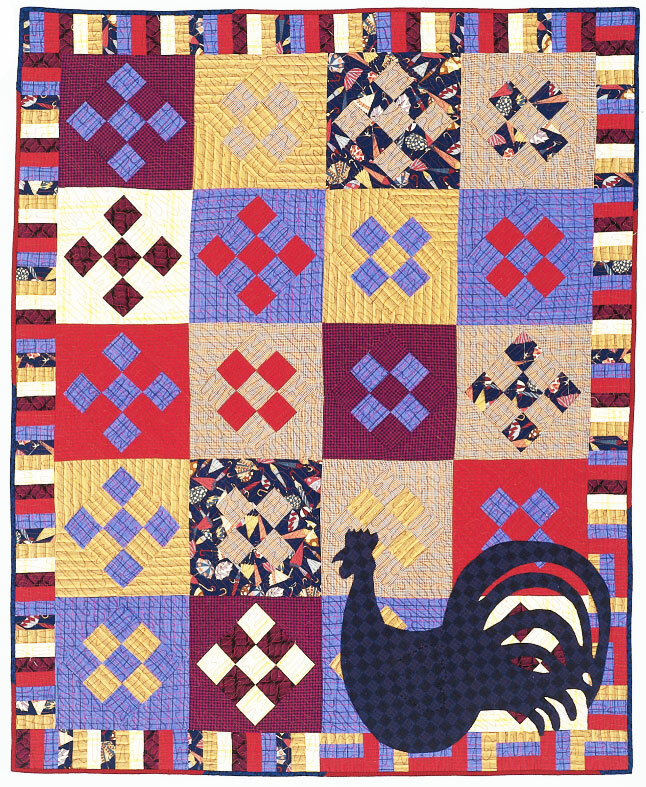 Finished quilt: 41-1/2x50-1/2". 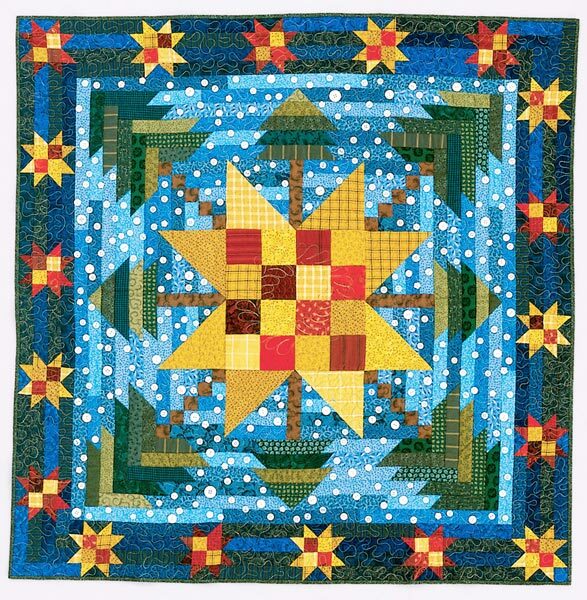 Finished block: 9" square. 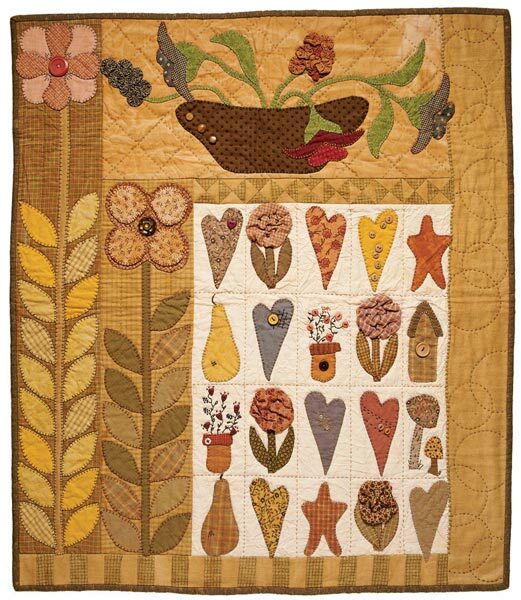 Designer: Sandy Bonsib.